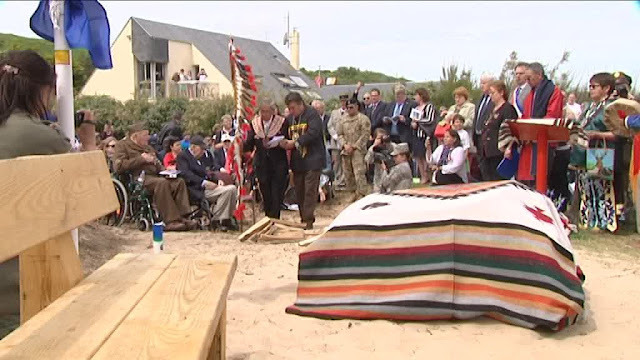 55 of the estimated 175 Native Americans on D-Day have been identified. This part of history was previously unknown -- and not recognized until today. 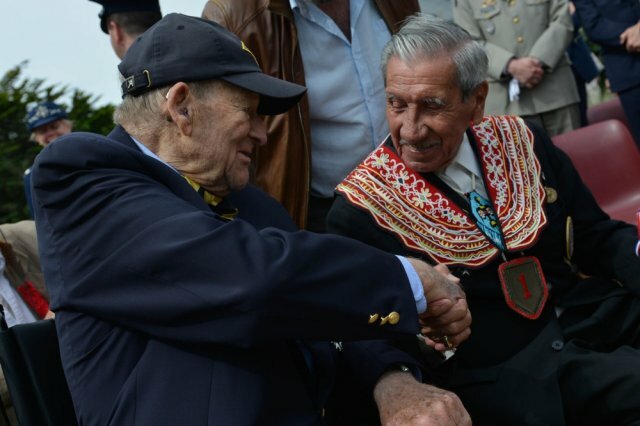 "As one of the few surviving American Indian combat veterans who participated in the liberation of France, I speak here not only for myself but also on behalf of my comrades from Turtle Island," said Master Sgt. (Ret.) Charles Norman Shay. Shay, a Penobscot Indian from Maine, was only 19 years old when he struggled ashore Omaha Beach, June 6, 1944, as a platoon medic serving in Fox Company, 2nd Battalion, 16th Infantry Regiment. The 16th Inf. Regt., one of three combat regiments in the 1st Infantry Division, or the "Big Red One," spearheaded the assault on D-Day. "On the evening of June 5, 1944, I was aboard the Henrico heading across the Channel, when I had a surprise visit from a Penobscot Indian warrior named Melvin Neptune," Shay said. "He didn't trouble me with his combat experience, nor did he offer me advice. Instead, we talked about home because he knew I had never been in combat… all hell was about to break loose on me." Now at 93 years old, he is one of the few surviving Native American combat medic World War II veterans who participated in the liberation of France. "Only two of us appear to have survived the war without being wounded," Shay said. "We were lucky. Call it what you want, fate, destiny, angels, spirits or God. All I know is that my mother prayed for me." In addition, his mother prayed for his other three brothers who were also serving in World War II -- two in the U.S. Navy and one in the Army Air Corps as a B-17 gunner. Shay added, "There were mothers across Turtle Island [North America] praying for their brave sons. My heart breaks for those women who were never able to welcome their sons home again." 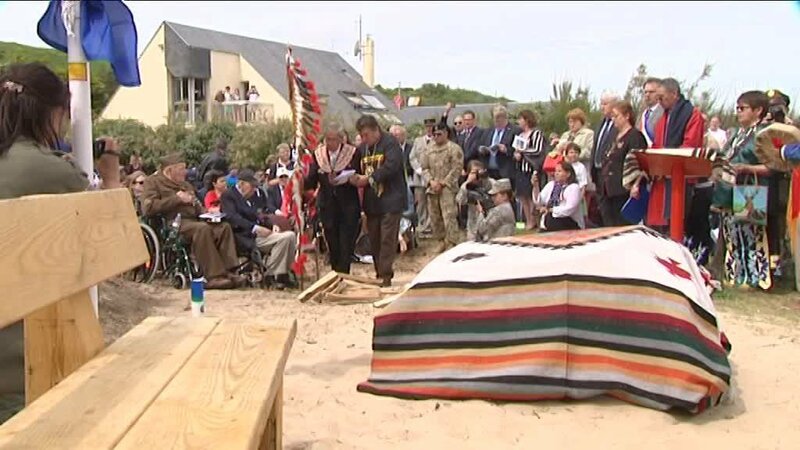 According to Dutch Anthropologist Dr. Harald E.L. Prins, 55 of the estimated 175 Native Americans who landed on Omaha Beach on D-Day have been identified. 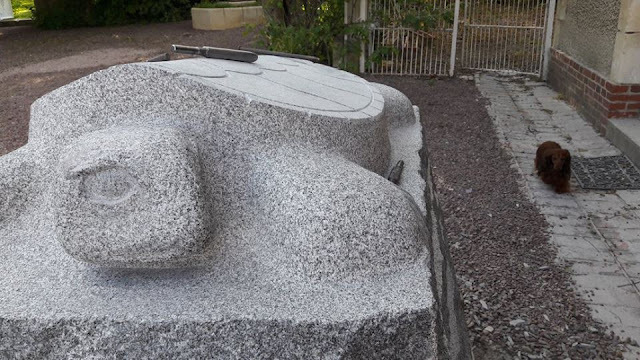 This part of history was previously unknown -- and not recognized until today. 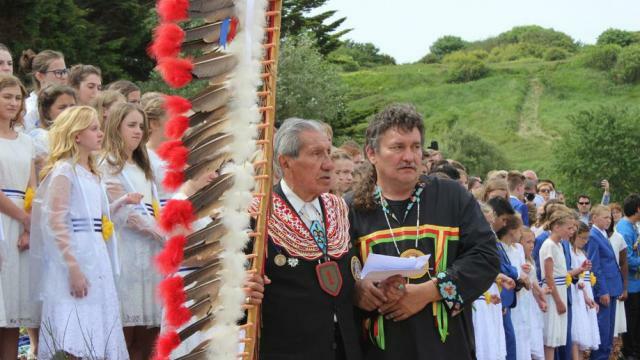 "This is the reason why we [Charles Norman Shay and Marie Legrand] decided together with the Mayor of Saint Laurent sur Mer and city council to honor the Native Americans who landed on Omaha Beach on D-Day," said Shay. 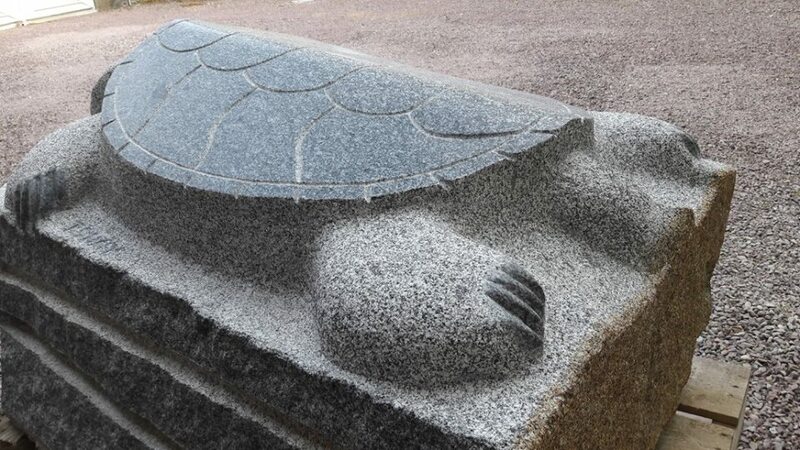 The Turtle Monument and plaque were unveiled during the Charles Shay Memorial dedication ceremony here June 5, 2017 -- the first time the site has been recognized as part of D-Day commemoration. "Every Soldier who landed on this beach was a hero," said Shay, who traces his lineage to a French ancestor and went on to serve in the Korean War. "There is now a plaque commemorating Indian Soldiers who left Turtle Island to help liberate our ancient French allies. We will not forget their sacrifices." 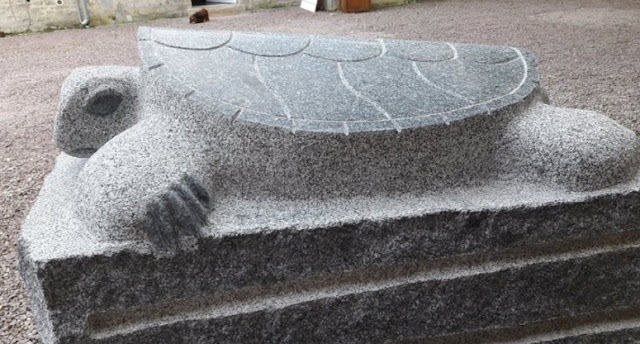 Responses to "New monument honors Native American sacrifice on D-Day"